Mayfair Gardens and Daintree Residence are both located in the Upper Bukit Timah area. They are close to King Albert Park MRT Station and Beauty World MRT Station respectively. Both are launched after the latest round of cooling measures and if you are currently looking for a new project launch in District 21, these two developments are your options. Mayfair Gardens is a 99-year leasehold condominium developed by Oxley Holdings. It sits on the site of the former condominium by the same name. 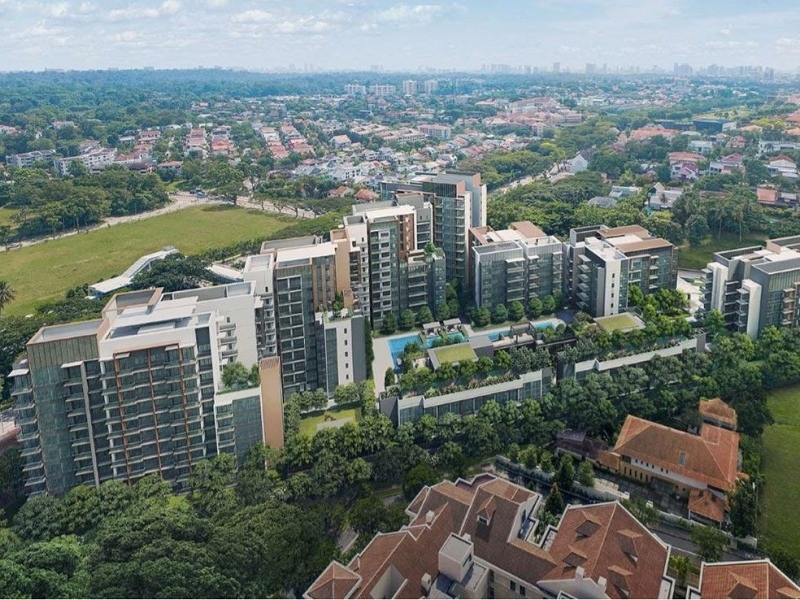 The previous 124 unit condominium, Mayfair Gardens, with a site area of 19,368 square metres, was acquired in an en bloc sale by Oxley Holdings for $311 million. 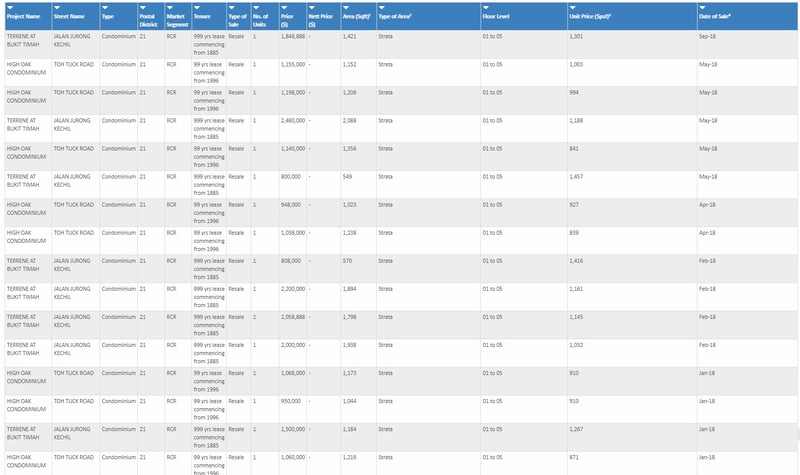 Each owner was paid about $1.7 million to $2.89 million, depending on the size of their unit. Since the site is separated by a road, Oxley Holdings will be developing two projects on the site. The larger plot of 116,130 square feet will be developed into Mayfair Gardens while the smaller site will be developed into Mayfair Modern. Mayfair Gardens will have 215 units and consist of 89 one-bedrooms, 72 two-bedrooms, 26 three bedrooms and 8 four bedrooms. 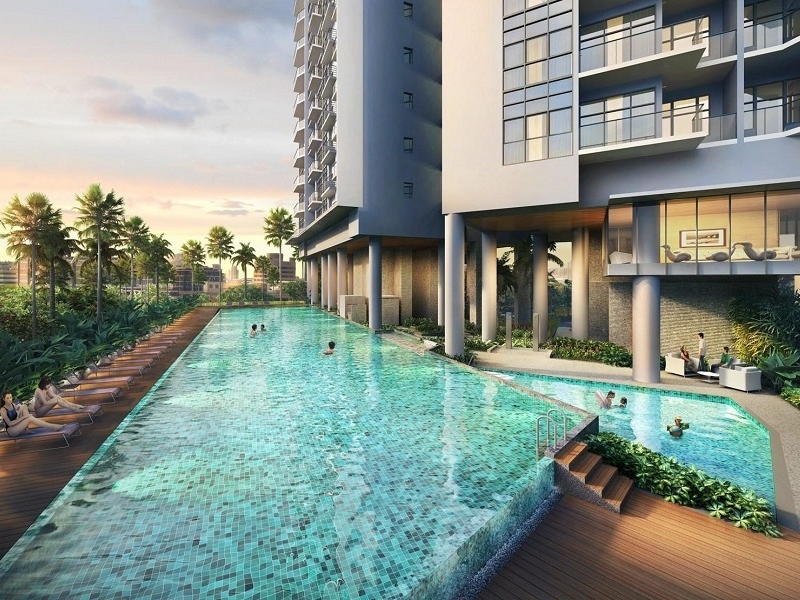 Daintree Residence is a 99-year leasehold condominium developed by Setia. Setia acquired the plot in a Government Land Sales exercise in April 2017. Back then analysts were expecting bids to come in under $200 million for the 18,721.4 square metre site. The eventual winning bid by SP Setia of $265 million caused great surprise to many and it was a sign of how desperate developers had become for plots of land. 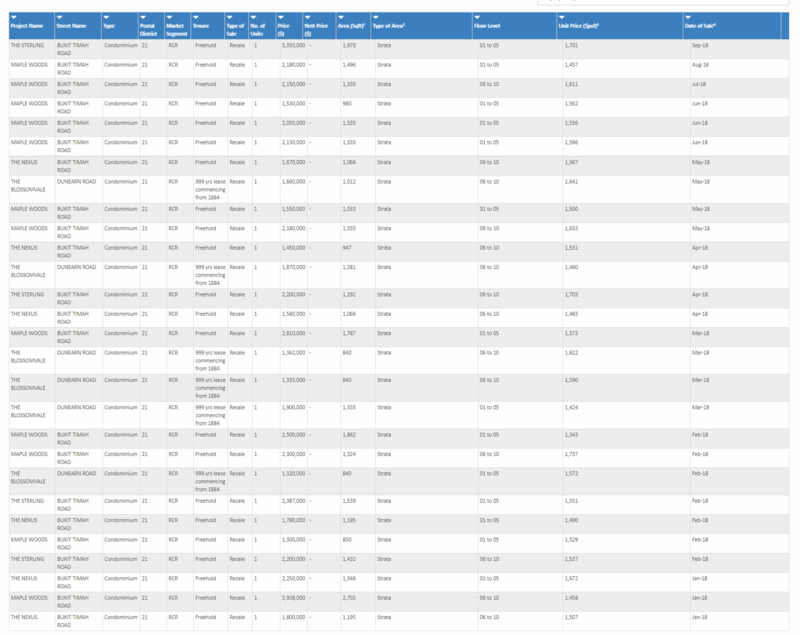 In fact, all top 10 bids came in above $200 million. Daintree Residence will have 327 units and consist of 22 one-bedrooms, 182 two-bedrooms, 114 three bedrooms and 9 four bedrooms. Mayfair Gardens and Daintree Residence are located close to each other and in District 21. Mayfair Gardens is located along Rifle Range Road. It is located in a cul de sac. It is located about 450 metres to King Albert Park MRT Station. It will take you about 5 minutes to walk to King Albert Park MRT Station. The walk is partially sheltered from the bus stop onwards to the King Albert Park MRT Station. It is also walking distance to Bukit Timah Plaza where you will find shops and amenities like an NTUC FairPrice supermarket. You will need to cross a rather busy intersection to get to Bukit Timah Plaza. Bukit Timah Plaza is approximately 750 metres away and it will take you 10 minutes to get there. Mayfair Gardens is also 850 metres away from Bukit Timah Market and Food Centre. 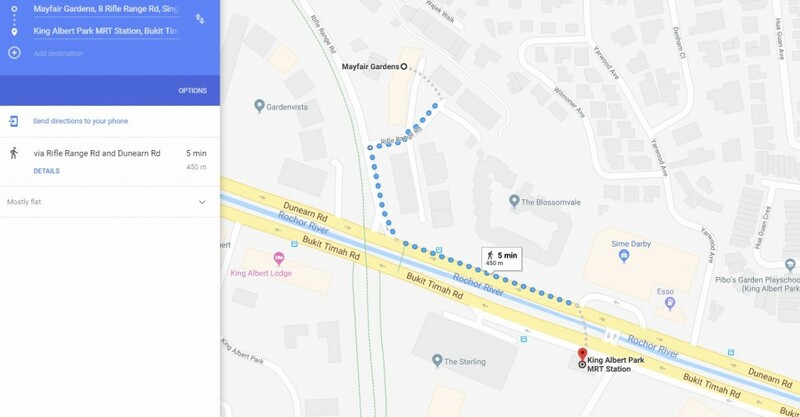 It will take 11 minutes to walk there. If you are travelling to Raffles Place MRT Station via King Albert Park MRT Station, it will take you 16 minutes and cost you $1.37. 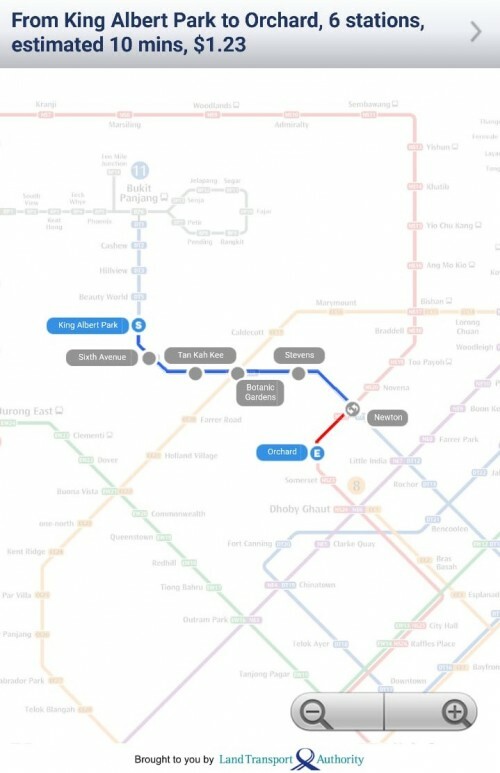 You will need to change from the Downtown Line to the North-East Line and consequently to the North-South Line at Newton MRT Station. If you are travelling to Orchard MRT Station via King Albert Park MRT Station, it will take you 10 minutes and cost you $1.23. You will need to change from the Downtown Line to the North-South Line at Newton MRT Station. The Downtown Line connects this area of Singapore to places like Bukit Panjang very well. It only takes 7 minutes to get to Bukit Panjang MRT Station and it will cost you $1.07. If you are driving, it will take you about 17 minutes to get to Raffles Place. The distance travelled will be 12.4 kilometres. Do note that at the point of my enquiry on Google Maps, it was during off-peak hours. Peak hour traffic can add significant time to the journey. I would expect travelling time to be at least twice this time as it can get congested along Bukit Timah Road. 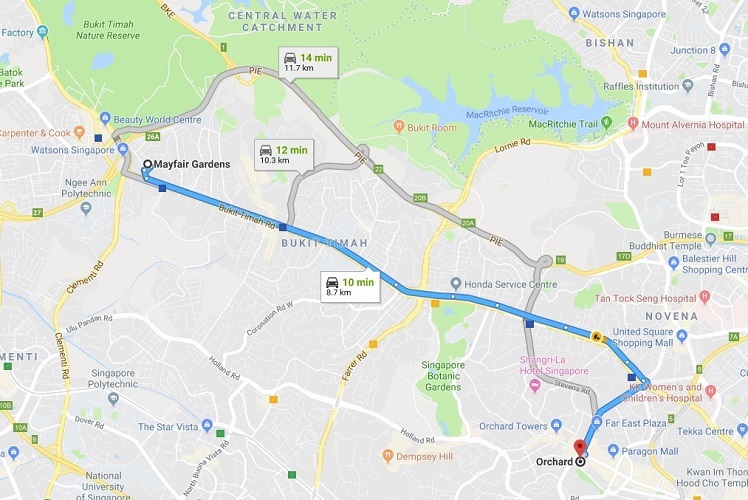 If you are driving from Mayfair Gardens to Orchard Road, it will take you about 10 minutes during off-peak hours and you will travel for about 8.7 kilometres. 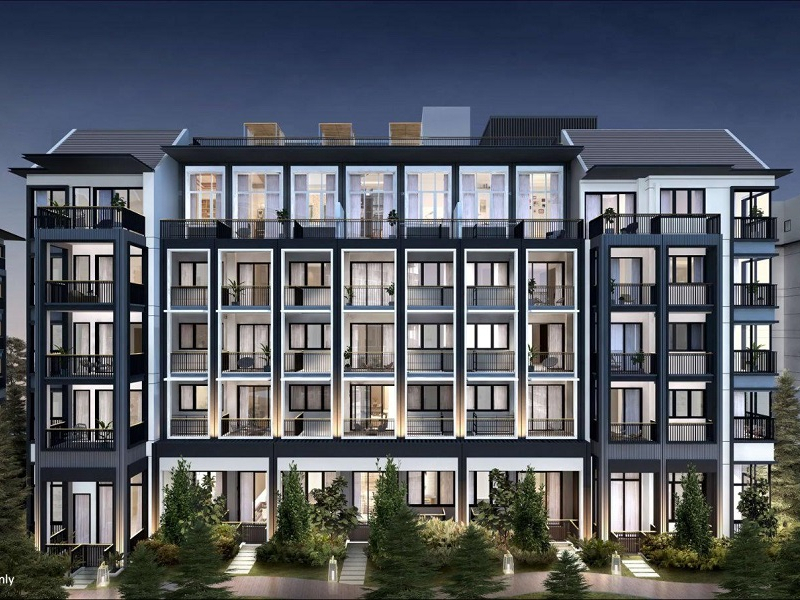 As for Daintree Residence, it is located within a cluster of condominiums along Toh Tuck Road. 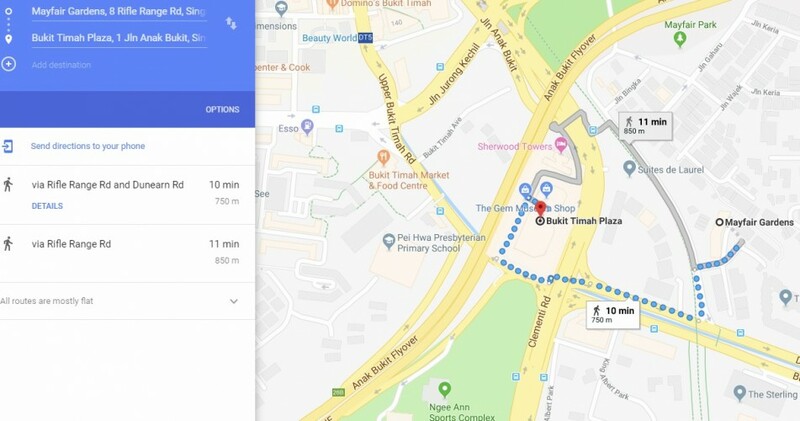 It will take you about 10 minutes to walk to Beauty World MRT Station. It is about 800 metres away. The walk is mostly unsheltered. Bukit Timah Shopping Centre and Beauty World Centre are located just across the road. There is also a food street with eating places just next to the MRT Station. 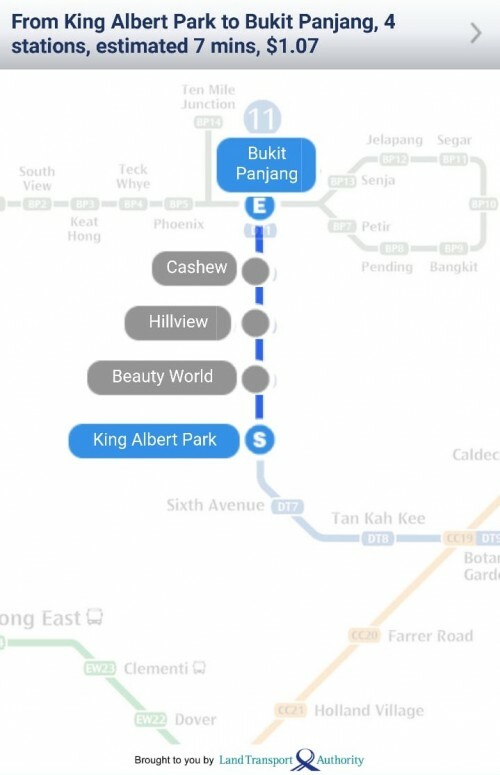 The trips made from Beauty World MRT Station to Raffles Place MRT Station and Orchard MRT Station are just a difference of one MRT station when comparing with King Albert Park MRT Station. Driving would also be similar with Daintree Residence being about 4 minutes away from Mayfair Gardens. The close proximity to the MRT Stations along the Downtown Line is a huge plus for both developments. That being said, they are not the closest condominiums to their respective MRT Stations. However, the Downtown Line does bring about a very high degree of accessibility to the condominiums in the Bukit Timah and Upper Bukit Timah area. Getting to the central and western parts of Singapore is extremely convenient now that there is a Downtown Line running through the area. The area is also relatively close to good schools. The Bukit Timah area is famous for having good educational institutions. Demand for properties in this area is sometimes driven by the demand for entry into the primary schools in the area. Mayfair Gardens is within a 1-kilometre radius of Methodist Girls School (Primary) and Pei Hwa Presbyterian Primary School. Daintree Residence is within a 1-kilometre radius of Bukit Timah Primary School and Pei Hwa Presbyterian Primary School and within a 2-kilometre radius of Methodist Girls School (Primary) and Keming Primary School. Mayfair Gardens has prices starting from about $1,800 per square foot and Daintree Residence has prices starting from about $1,600 per square foot onwards. Both these projects are 99-year leasehold developments. If we were to take a look at the transactions of the developments nearby for 2018, we will find that there are transactions in the range from $1,343 per square foot to $1,737 per square foot for freehold properties around the vicinity of Mayfair Gardens. To have prices starting from about $1,800 per square foot for a 99-year leasehold development is rather high. I do think that the premium for new project launches over the resale market in the recent months has been extremely high. Bukit Timah has always been a prime residential district in Singapore. I would expect most of the buyers to be buying for their own stay. Good resale units with prime facing are hard to come by in the market and thus there may be some pent-up demand. The advantage of buying during a new project launch is that there will be a large number of units available for selection. Those who have been looking around for a unit in the resale market for some time without success may be interested to pay the premium at Mayfair Gardens. Oxley is also touting that Mayfair Gardens will be their most luxurious development to date. If the completed product does live up to their hype then it will justify the high price tag to a certain extent. Yet I still do find the launch price on the high side. Daintree Residence’s pricing is even more perplexing to me. 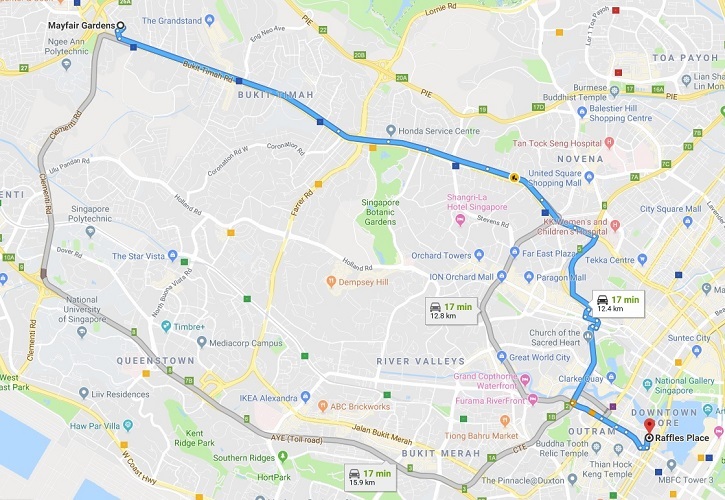 Toh Tuck Road is not along Bukit Timah Road and I do not think that properties in this area should be compared to those along the main Bukit Timah Road. 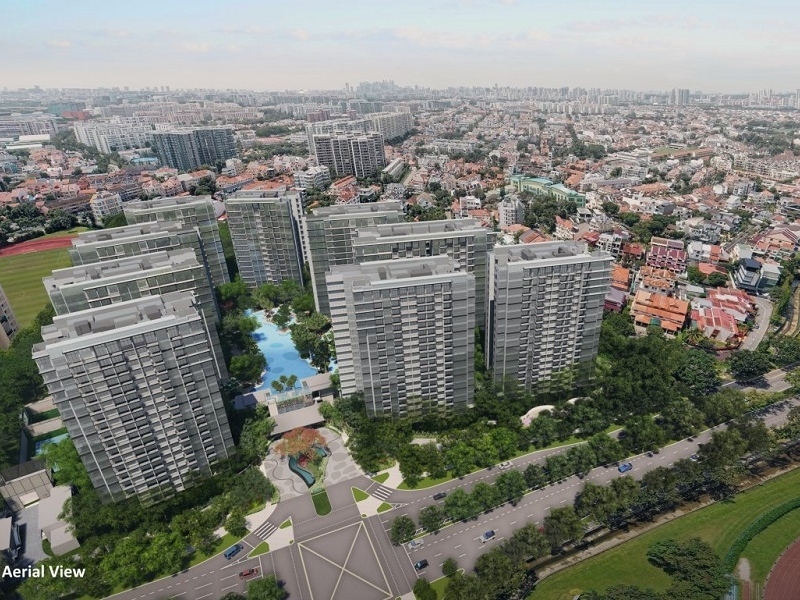 The fact that they are placed in the same district, district 21, as some properties along the main Bukit Timah Road may cause confusion to buyers who are unfamiliar with the area. I personally felt that it was an astonishing bid from the developer to obtain the land. 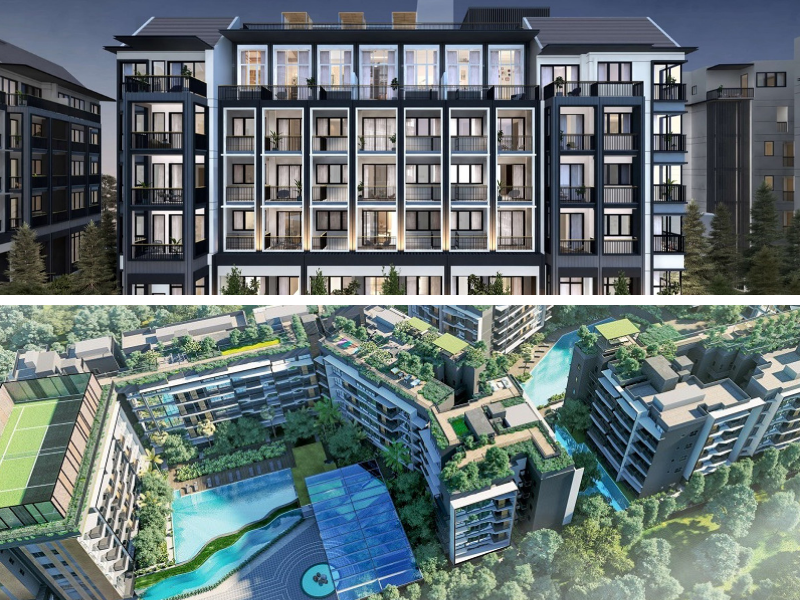 Currently, there are units transacted at the 999-year leasehold Terrene at Bukit Timah for as low as $1,032 per square foot. 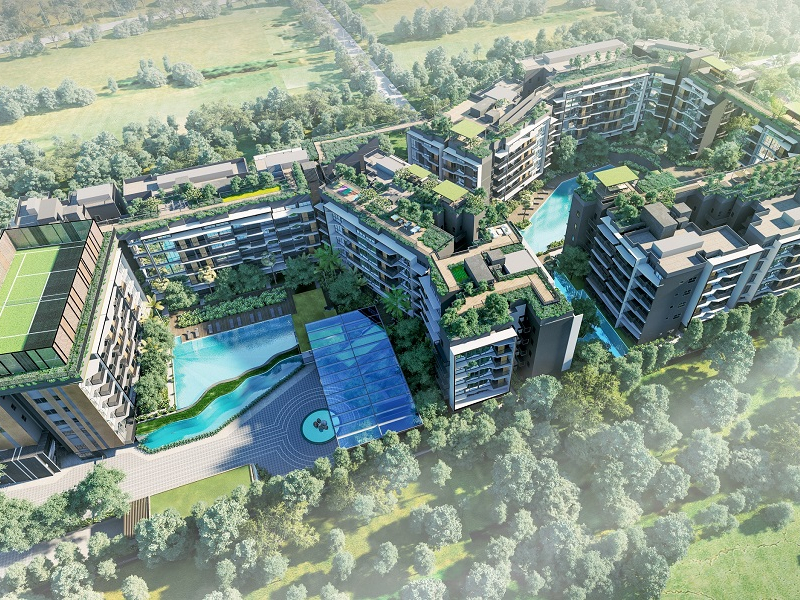 Yet Daintree Residences is priced at about $1,600 per square foot onwards. Buyers can get much better value in the resale market. In fact, they can purchase a freehold resale property along Bukit Timah Road for a lower per square foot rate. Freehold resale properties like The Sterling, Maple Woods, The Nexus and The Blossomvale are going at prices that in some cases are lower than those at Daintree Residences. I find it expensive due to the fact that this is a 99-year leasehold project. The high pricing is apparent when you take a look at the URA past transacted prices. Freehold properties in the vicinity have been transacted for a lower per square foot price. It has been a trend in recent times for new project launch prices to be significantly higher than those in the resale market and this project does not buck the trend. 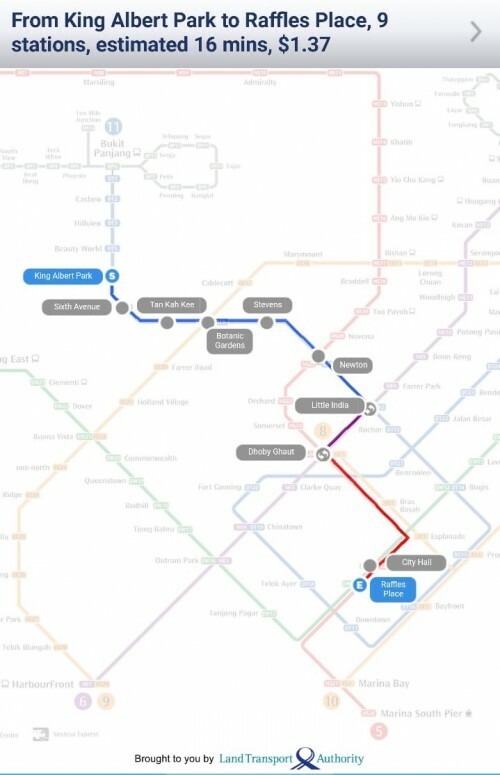 The Downtown Line is extremely convenient and brings excellent connectivity to the area. 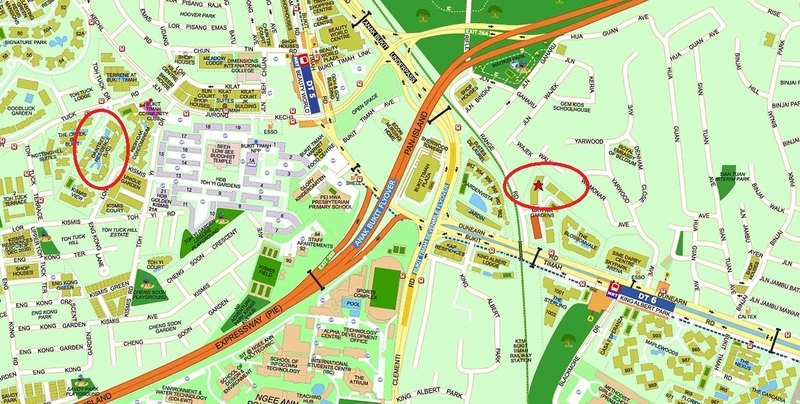 Mayfair Gardens is rather close to the MRT Station yet it is away from the main road. In my work as a real estate salesperson, I have marketed properties along Bukit Timah Road and in some properties, road noise is a real issue. Mayfair Gardens is also within a 1-kilometre radius of Methodist Girls’ School (Primary) and this is a huge draw for parents with school going daughters. 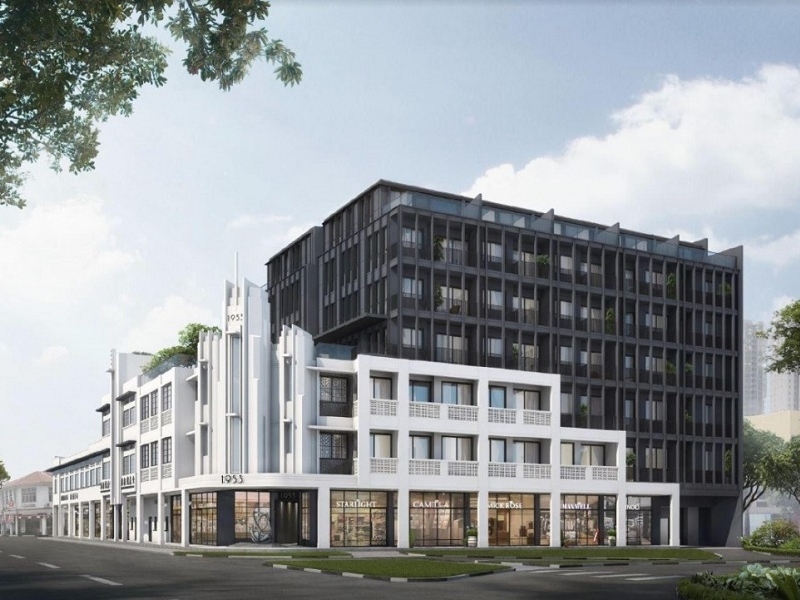 I would think that Oxley Holdings’ subsequent project, Mayfair Modern may be better as there should be a side gate that leads to the main road but then some units would be affected by the road noise. I personally like the overall design of the development. Perhaps the typical tall buildings with full height windows have grown weary and when something a little more Victorian looking comes about, it feels a bit special. 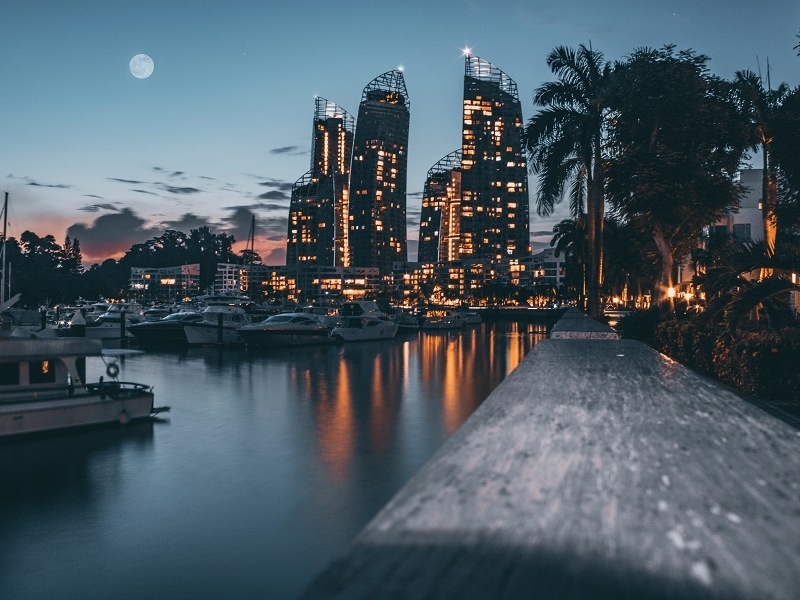 If Oxley Holdings does keep to their word of making this their most luxurious development to date, then it may turn out to be something to look forward to. This sets a new benchmark in the price premium for new project launches. The first phase of sales saw 50 out of 80 apartments at Daintree Residence sold over the weekend at an average selling price of $1,710 per square foot. I do think that this is extremely high for a 99-year leasehold development in this area. I am unsure of the buyers’ motivation. Perhaps there really is a lack of supply in the resale market. Still, the developer has clearly overpaid for this plot of land and consequently, the high land price is passed on eventually to the buyers. Granted that the closest MRT Station is Beauty World MRT Station but then this is still a 10 minute, 800-metre walk to the MRT Station. The journey is relatively unsheltered and thus if it were raining, the journey would be a little more challenging. I am giving it a respectable score of 3.5 despite the fact that it is not exactly near Beauty World MRT Station due to the fact that there is a large selection of eating places and amenities just across the road. 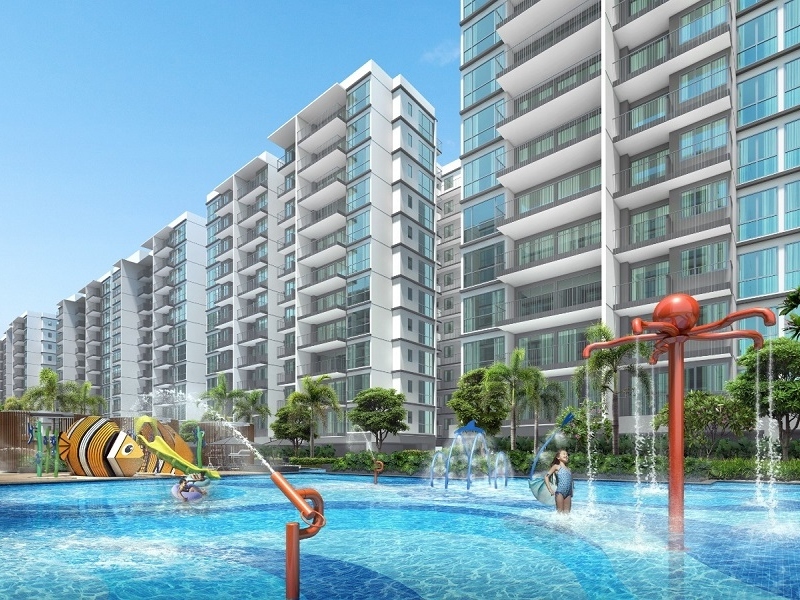 SP Setia is one of the leading developers in Malaysia. It is listed on the Malaysian Stock Exchange and was founded in 1974. Their track record is extensive and strong. I just feel that they could try to differentiate Daintree Residence a little more if they are charging such a high premium. p.s. I am a licensed real estate salesperson at the point of writing this review. My real estate agency is the marketing agency for Mayfair Gardens. I can also bring buyers to view and purchase Daintree Residence by co-broking with the marketing agency. My reason for writing this review is to share my personal view about the developments and hopefully share some insight to help buyers make a more informed buying decision. P.S. You can reference the Mayfair Gardens floor plans here. P.P.S. You can reference the Daintree Residence floor plans here.